It’s more than just a couch! It’s the couch with an impossible number of possibilities. I actually gave the Gjemini its own nickname “SuperCouch”. What’s super cool about the Gjemini is that it is comfortable in every position. 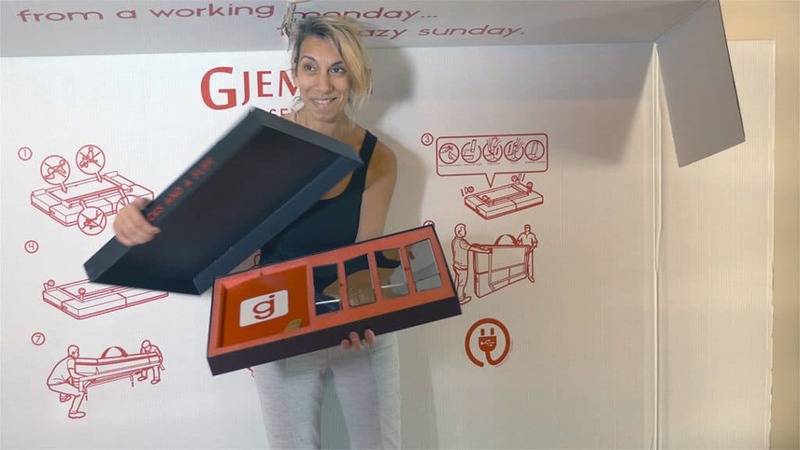 Yes, the Gjemini is beyond a couch and can be used and enjoyed in many positions. It instantly becomes a bed or a hang-out space or even a meditative place. I have been testing it, including my kids and dog occasionally, I am saying occasionally because it is way too pretty to be ruined and I want to enjoy it for the longest time. But then again, what’s the point of testing a product if you don’t really put it to the test. And so there we are, testing it in every possible way ever since I received it and put it together. I ordered the Gjemini in grey, microfiber. It came in a huge box, inside another of course bigger box holding it. True it took me forever to unbox it and ran out of room in my recycling bin BUT that’s a great way to keep your couch from being damaged. Un-handy people rejoice because it requires NO TOOLS. Once you locate the 4 legs that come in a separate “fancy” box all you must do is snap them on, flip the couch over and you are finished. This alternative couch is the perfect lounger by day for your guests with the ability to transform into a bed easily at any time. On each side of the Gjemini you will find USB ports as well as volt sockets to help you charge your devices while charging yourself. The modern design of the Coddle allows you to recharge all of your divices with 4 USB ports and two 110-volt sockets. I’m not sure if my video does a good enough job of saying how much I LOVE my coddle couch. This is truely an alternative couch as it preforms the couch job perfectly, and the bed function is great. I wouldn’t use it as an everynight sleeper, but it is pretty close. It screams of day bed, yet it is fully functional as a couch or as a lounger. It is really heavy (137.5 lbs), so it will take 2 people to flip it over or carry it. What I find interesting is how heavy the shipping boxes are. Once you take the couch out of the boxes, it isn’t that heavy. 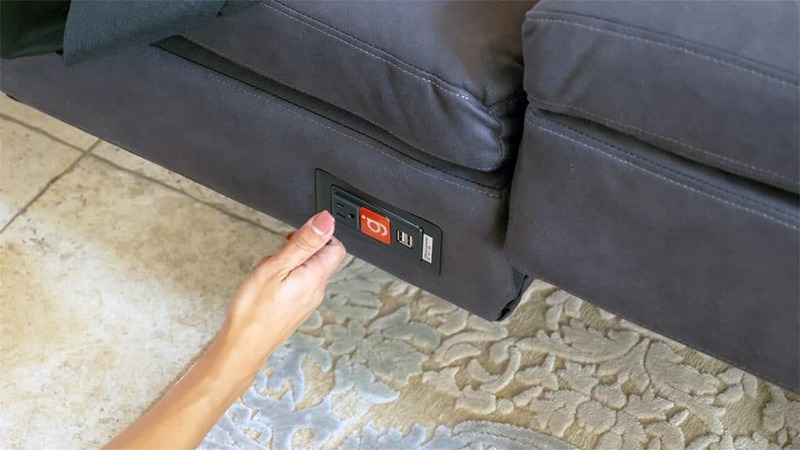 On each side of the couch you will find USB ports and a US standard outlet. Who Should Buy a Coddle? Review in progrss I have had it for a few days now. How do I Assemble a Coddle? This is by far the easiest assembly possible for a direct to your door couch. You simply click the 4 legs in and flip it over. Seriously, that’s it. I spent far more time getting it out of the box then actually putting it together. They provide 2 thumb protectors to keep your skin from getting pinched while you click in the legs. The other thing to note is that you need to match up leg a, with sticker a. I didn’t realize this and put the D leg into A and I could tell that it didn’t look right before I flipped it over. The only other difficult part of getting it set up is that you have to pull the cord to unzip the electric cord from the built in hiding space. How BIG is the Coddle? Coddle offers an amazing 60 day trial period. If you don’t like it and it isn’t found to be dirty, stained, damaged or abused they will give you a full refund. No, but it ships with a removable cover to protect it. How long have you had the Coddle? I purchased it in December of 2018. Shipping took less than 2 weeks, depends on your window to schedule delivery. 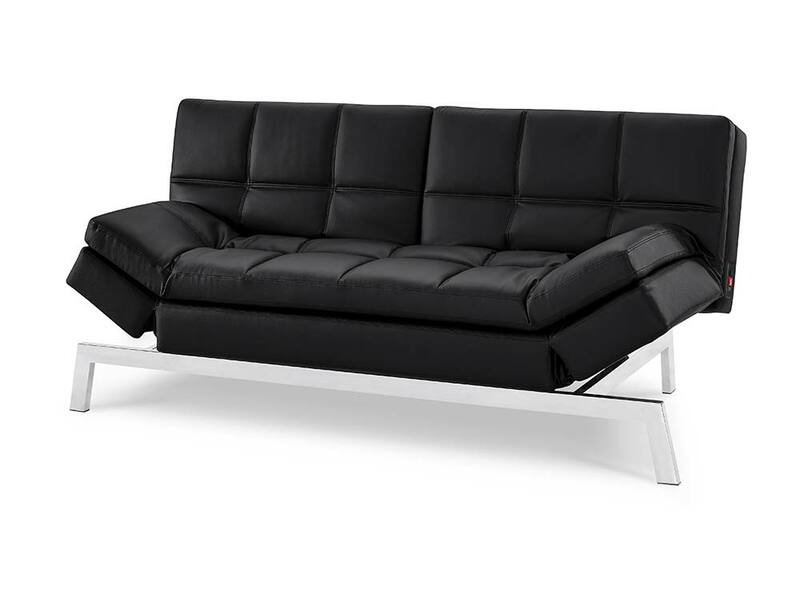 How do I buy a Coddle Convertible Couch? The ordering process is no different from anything else that you would buy online. Except that you are buying a major purchase sight unseen. Of course, this makes your purchase scary, and that’s why I shot the video above so that you could get a look and a second opinion of the product before you hit the buy button. I didn’t leave my couch to buy my coddle, they were running an end of the year 20% discount. I’ll see if I can get a similar coupon for you during other times of the year.